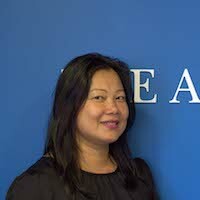 Ms. Young is the Grants Management Associate for the Aspen Institute Economic Opportunities Program (EOP). She is responsible for accounts payable, timesheet data entry and data management, and assists with grant reporting. In addition, she provides support for project data analysis and creation of PowerPoint presentations. Ms. Young has a B.S. in Business Administration from the University of Maryland.